When the fire alarm sounds, get out and stay out! More articles in this campaign. This year, Fire Prevention Week runs from October 7–October 13, 2018. 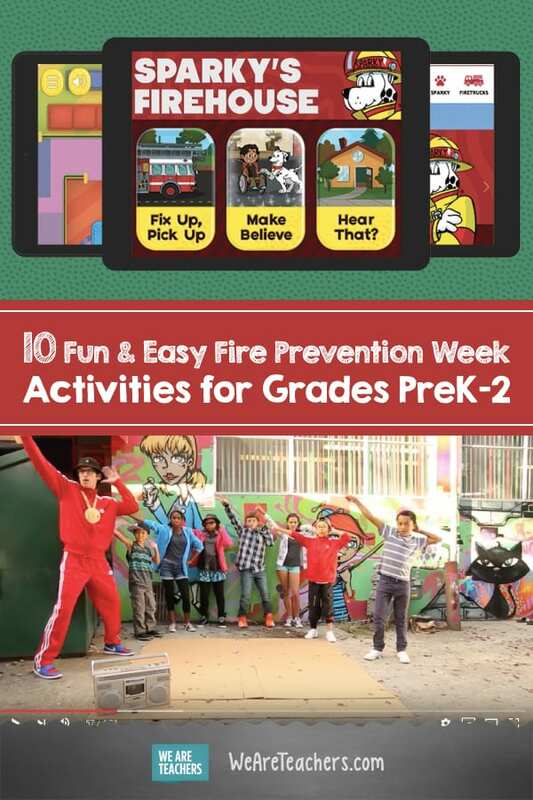 If you’re looking for fire prevention week activities for grades PreK–2, here are 10 fun and easy ones to try right now. 1. 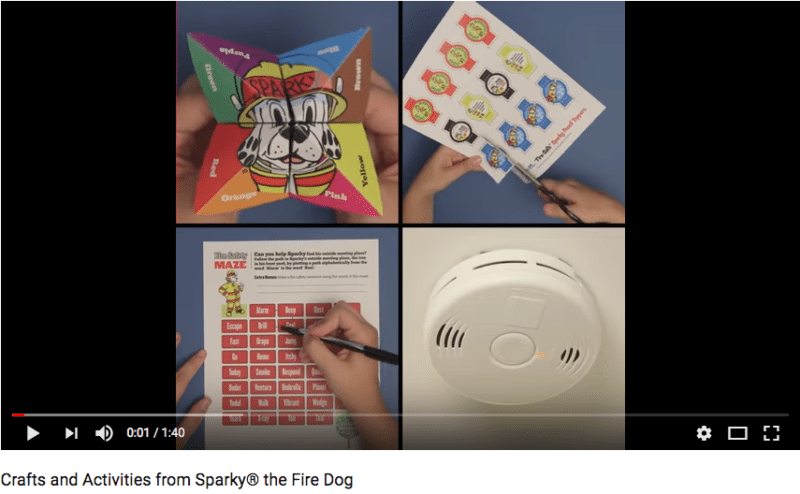 Play math carnival games with Sparky the Fire Dog. 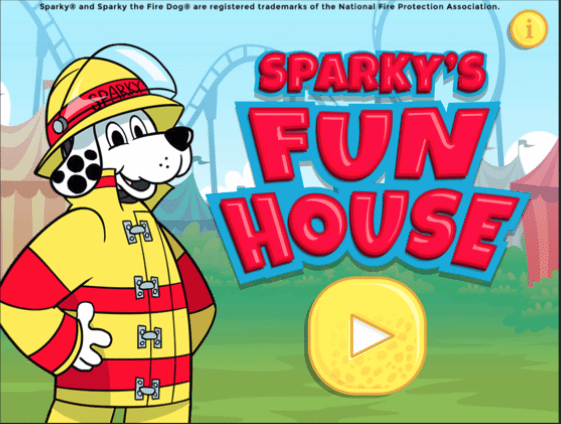 Download the Sparky’s Fun Houseapp and set your students loose in a carnival of fire-safety facts and math activities, like solving addition problems and bouncing water balloon multiples. 2. 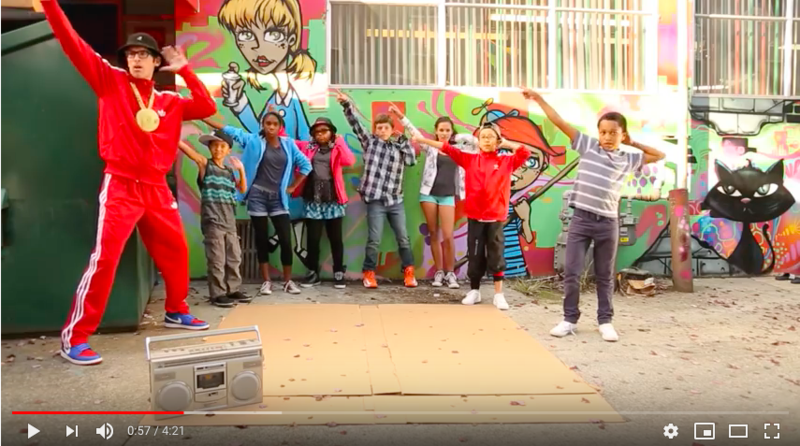 Incorporate a groovy video into your math lesson. Use this energetic “What’s That Sound? video to teach your students the most important things to do when they hear a smoke alarm. Then use the accompanying lesson plan, Data Data Everywhere, to help your students practice data collection and create a bar graph. 3. Try a simple, printable Sparky craft. Head to Sparky.org to download and print easy crafts and activities to do with your students. 4. Learn some fire safety dance moves. 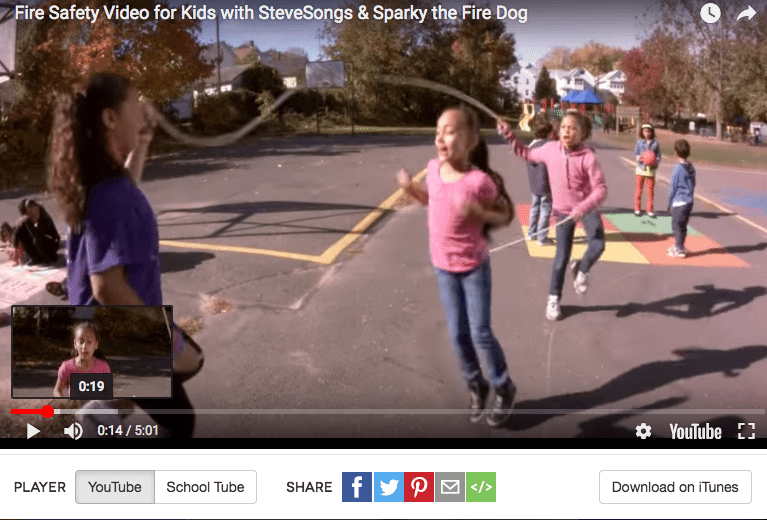 Steve, from Steve Songs, helps kids stay fire safe by leading them through the four key steps for fire safety in this unforgettably catchy sing-along video, complete with fun and easy to follow dance steps and moves. 5. 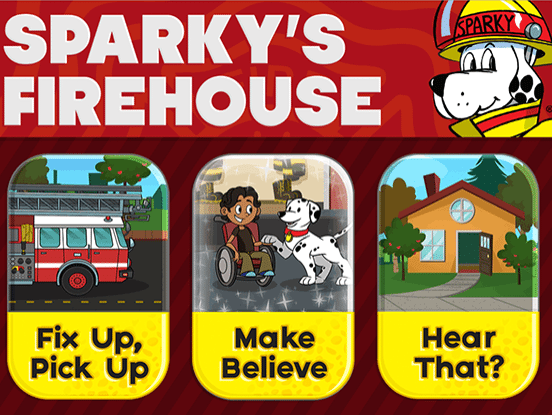 Load up Sparky’s Firehouse App. 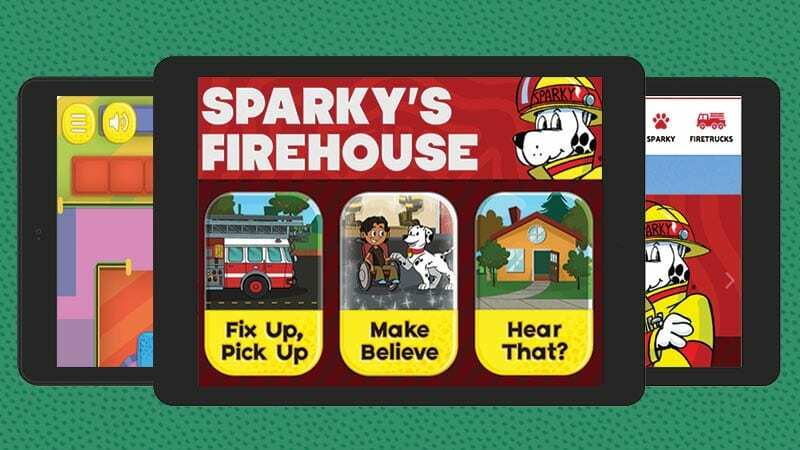 Download Sparky’s Firehouse app onto your classroom iPads or classroom computers and let your students try out sliding down a fire pole and fixing a broken fire truck. 6. Create a Sparky Center. During center time, make one of your centers a fire safety center. 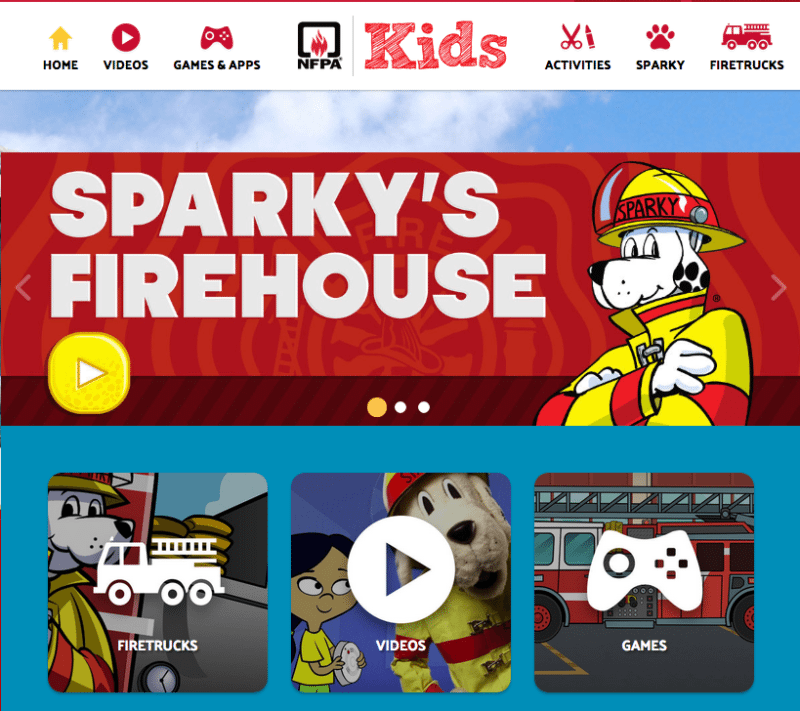 Load up one of our apps onto the class iPads or open up your computers to Sparky.org and let kids play while they learn how to stay safe. 7. Practice ‘a-maze-ing’ number sense. Help your young learners build their number sense by following this fire safety mazeto help Sparky find a safe meeting place. 8. Take a spelling roller coaster ride. 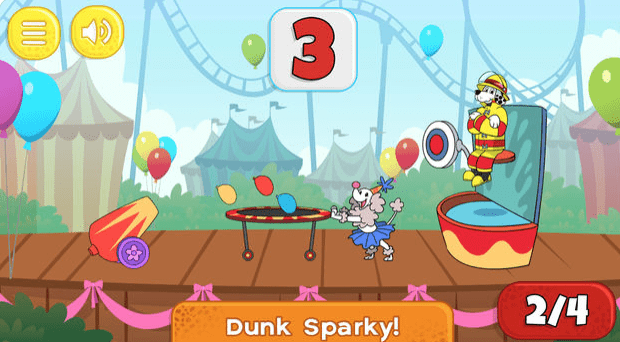 Time to play carnival games at Sparky’s Fun Houseagain! This time, students will float balloons to the roller coaster to spell out important fire-safety words. 9. Print off a collection of fire safety activities. 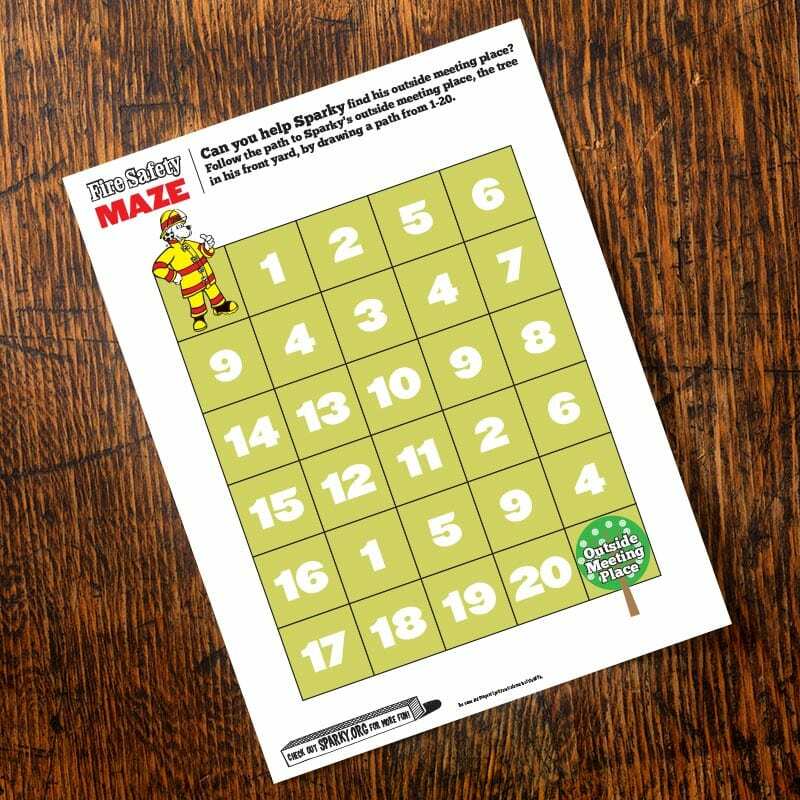 Stock up on fire safety coloring pages, picture puzzles, connect the dots, mazes and more. Reinforce the message of fire safety by using these fun activity sheets for early finishers, during choice time, or for indoor recess. 10. Learn all about firetrucks. Little kids have an ageless fascination with fire trucks. 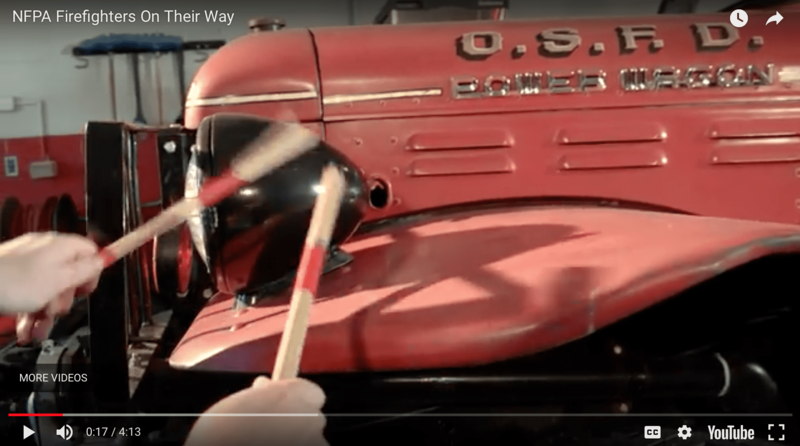 Your students will love this collection of four short videos that teach them about the different types of firetrucks and the equipment that comes with them. Have a fun and happy Fire Prevention Week!